Droid Transfer lets you copy files between your computer and your Android Phone without the need for cables! You can download the free demo of Droid Transfer below. 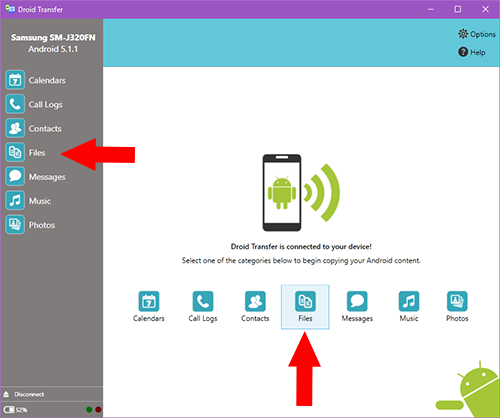 Note that Droid Transfer also lets you copy files from your PC to your Android phone, as well as Manage and Delete files on Android as detailed in the Droid Transfer User Guide. In Droid Transfer Click the File Icon - Droid Transfer shows the files and folders on your Android device. 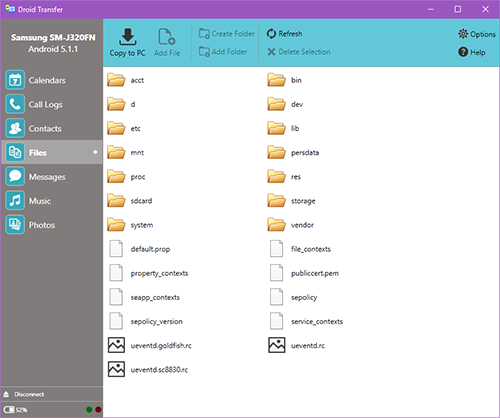 Using this file browser, you can view copy, delete or add files to and from your Android device just like you would in Windows Explorer on your PC. 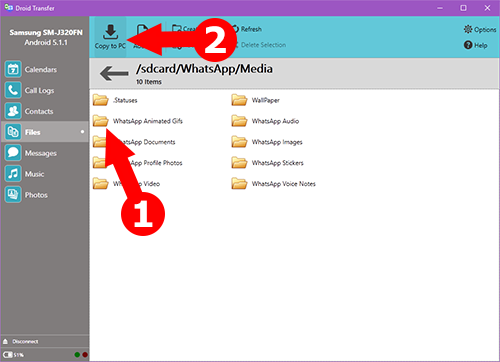 As an example - lets say you want to copy an image that you sent on Whats App to your PC.Navigate to the WhatsApp media folder on your Android device. 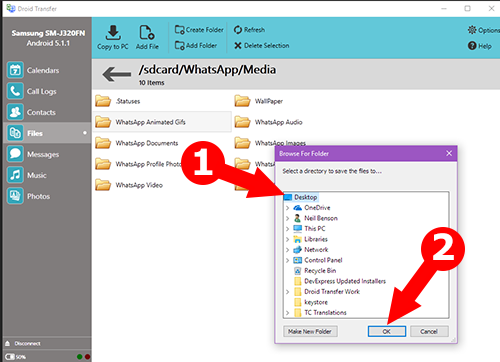 Select where on your PC you would like to save a copy of the folder (lets say - our Desktop) then click OK.
A copy of the folder on your Android device has been made on your PCs Desktop.